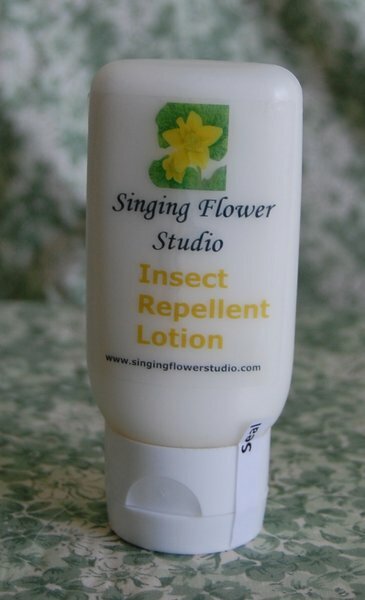 Insect Repellent Lotion in this small tube is easy to slip into a pocket. Designed for activities in a back yard or patio, it is better to use our stick repellents for tall grass, hiking in deep woods and kayaking activities in hot weather. 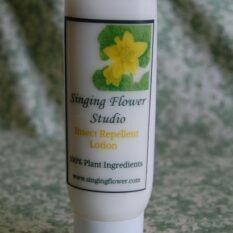 This lotion is soft and has the fragrance of Lemongrass. 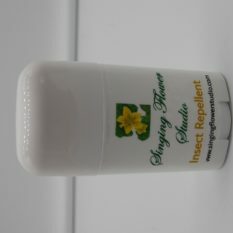 Please do not use these insect repellents on children under 2 years of age. They are very strong natural essential oils. 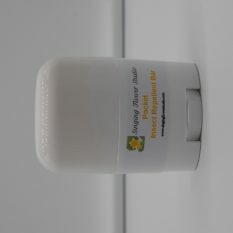 Lotion may be placed on a tissue under a crib, tucked into the edge of a stroller or placed in the corner of a camping tent to deter insects. For an active toddler they may be used on legs and feet. Ingredients are: Distilled water, Sweet Almond Oil, Macadamia Oil, Avocado Oil, Jojoba Oil, Cocoa Butter, Emulsifying Wax, Potassium Sorbate, Rosemary Oil Extract, Vitamin E, Lemongrass, Lavender, Tea Tree, Lemon Tea Tree, Eucalyptus, and Galbanum Essential Oils.